Or… this screenshot from their website might help? I don’t know what to use for an accent image in something like this. You’d have to look closely, but the site looks different today. Maybe you’ll figure it out while you read the rest of this. Ask an Atheist is a very different show in 2017 than it was in 2010, when we first started out. For starters, the name is different. Mike told me once, a long time ago, that he would have changed the name to something slightly different if he knew then what he knew… Wait, how does that work in nested flashbacks? Anyway, Mike would have changed the name if he knew in the second-level-then what he knew in the initial-then. I think that’s why he pushed to change the name once he went off to brighter green pastures. And I say again: it was his idea. I know you’re probably sick unto vomiting esophageal lining to hear about it, but I was uncomfortable with it. Felt like a power grab. Don’t wanna treat friends and colleagues that way. A recent change is that we again have four producers. Well, three actual producers and one truant producer who’s working on strange projects, which brings me to the actual point. One of the weird things about our website is that it had a ‘.tv’ domain, suggesting that it was either for television or that we were from Tuvalu. We were never from Tuvalu (sadly) and we were only TV for less than 30 episodes of our present 370-something run. It was a strange fit, but there wasn’t anything that cooler, so we stuck with it. Until today, anyway. 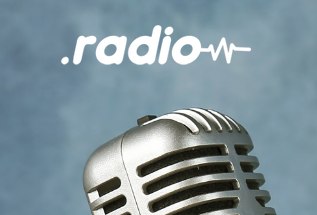 There’s a bunch of new top-level domains out there, and one of them is specifically for radio. Seeing how that we’re actually a radio show again– here in the Tacoma area and soon to be elsewhere– it made sense. So now you can find Ask an Atheist at atheist.radio. The old domain will still work for the foreseeable future! It’s still a cool domain, no reason to get rid of it. Another thing is that I’m forcing SSL, now that we’ve got easy to use certificates from Let’s Encrypt. HTTPs has been available for years, but it was always optional until now. And finally, our RSS feed for podcasts is now serving podcasts from atheist.radio/episodes, rather than from a separate domain, media.askanatheist.tv. The reason we had a separate domain for the podcasts hearkens back to a day when our websites were being served on a relatively thin pipe in Tacoma, while our podcasts were being served from a fat pipe in Phoenix. Now that all things are being served from the same place, that level of complexity isn’t required. The old media.askanatheist.tv links will continue to work, but I’ll be watching the logs and phasing that out once I see the links drop off. If you’re seeing any problems with the website, please let me know by using the big red button at the top of the page.